Exclusive Getaway Vacations - The Web's Best Vacation Values! "What a bargain... We will continue to vacation with you!" Exclusive Getaway Vacations offers amazing deals on vacation travel packages to a wide variety of desirable vacation destinations across America. You won't find a better vacation value on the web! Our vacation packages are priced perfectly for a family vacation, or a quick romantic weekend getaway! No matter why you need to get away, our discounted travel packages will help you get there, AND all at a great price! It's Easy To Save With EGV! 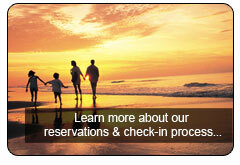 We are the leader in vacationing on Hilton Head Island, South Carolina. 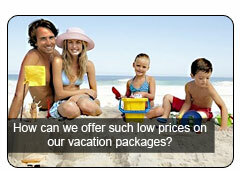 In fact, we've traveled nearly 400,000 families on our wonderful promotional vacation packages! Hilton Head Island is the perfect, idyllic spot in South Carolina where one can shop, swim, eat, play both golf and tennis, or just walk along the stunning beaches. It is the perfect escape from the annoying hustle-bustle of city life. The climate on the island is wonderful year-round. Surrounded by majestic lagoons, wildlife, and the Atlantic Ocean, our Island makes the ideal relaxation destination for everyone. ExclusiveGetawayVacations.com believes vacations are not only important, they are essential, so let our team of "Extra Effort Experts" help you connect with the best vacation itinerary possible. Each affordable vacation locale offers a little something different for everyone. From mountain tops to bikini tops, from roller coasters to rolling beach coastline, Exclusive Getaway Vacations is here to help you find that perfect, the best vacation getaway trip. Your 100% satisfaction is our goal. If at anytime you have questions, please feel free to contact one of our Customer Service Representatives (Toll Free) 1-800-881-1227.